At North Bay Property Advisors, we are proud to be Northern California's premier source for all things commercial real estate. 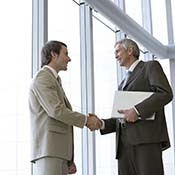 As a full-service commercial real estate company, we have what it takes to handle all of your needs. Whether you are Buying, Selling, Managing Property, Leasing or looking for assistance with Appraisals, Financing, REO & Asset Management or Real Estate Receivership, North Bay Property Advisors has your back. Whether you are looking for commercial properties, including apartments, retail, offices, industrial buildings, hotels, motels, B&B and land, the experts at North Bay Property Advisors can help you find the perfect commercial building for your needs. View our commercial listings now! At North Bay Property Advisors, we have what it takes to help you find the right commercial property for you, regardless of your needs or expectations. 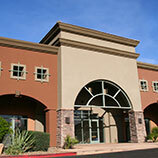 Let our experts show you what a real, full-service commercial real estate company is all about! 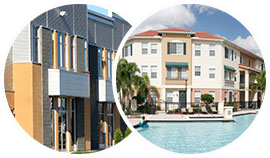 When you are searching for the right commercial property, there are many real estate companies you could turn to, but there is one that stands out from the crowd: North Bay Real Estate Advisors. Our family owned and operated commercial real estate company has been serving Northern California for over 50 years now, and we are dedicated to your satisfaction in everything we do. We proudly serve all of the Bay Area, including Sonoma County, Marin County, Solano County, Yolo County and Sacramento County. You deserve to work with the best, so what are you waiting for? Contact North Bay Real Estate Advisors today to let our experience and knowledge work for you! As it states in our name, we are advisors. An advisor is an individual who leads others to success with their knowledge, expertise, and that is exactly what we will do for you. We have worked hard to build a team of experts who can help you accomplish even your most ambitious real estate objectives!